I got to worship to this song a couple weeks ago in church and it's been my heart's cry ever since then. 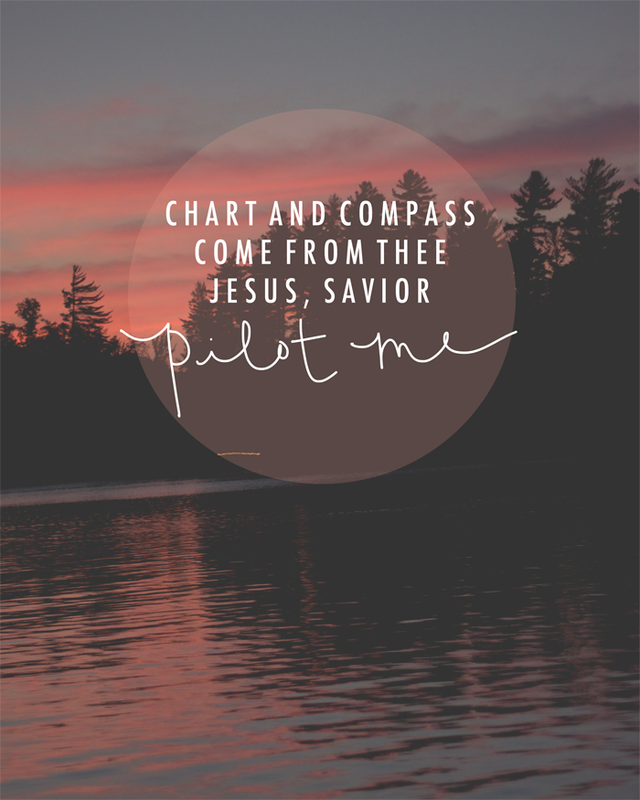 It's an old hymn that I somehow didn't know until this summer and every word is perfect for this season in my life. I hope it blesses you as much as it does me. Unknown waves before me roll, Hiding rock and treach'rous shoal. Boist'rous waves obey thy will When thou say'st to them, "Be still!" May I hear thee say to me, "Fear not; I will pilot thee." Wonderful to hear this again after such a long time! !